Josh and Emily break the 60-minute mark at this week's dungeon meetup for two reasons. For one, they get really carried away chatting about zombies. But for two, they serve up a bunch of special segments -- including a brand new one that Josh coins on the air. Get comfy on the flagstone for a while and enjoy the surprises! At another unusually long jukebox gathering, Josh and Emily contemplate the relationship between artists and audiences, explore some particularly tender testimonials, and try to remember the ridiculous video game rumors they used to hear about in elementary school. At one point Emily can't help it and overflows with feels for the patrons who've been sharing their feels. Go ahead. Get mushy too. 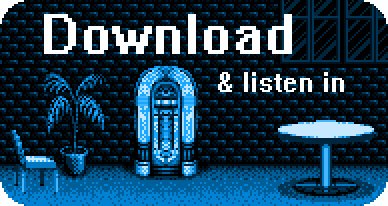 Share your VGM feels with us! You know you want to!